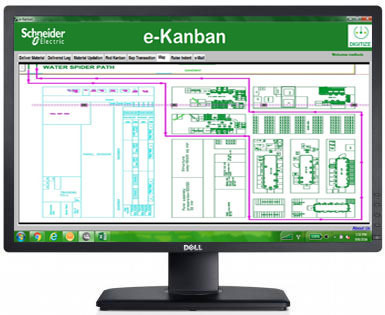 The Kanban System is an integral part of implementing the Just in Time (JIT) manufacturing philosophy ,which was designed to control inventory and reduce waste.E-Kanban is a signaling system that uses a mix of technology to trigger the movement of materials within a manufacturing or production facility. 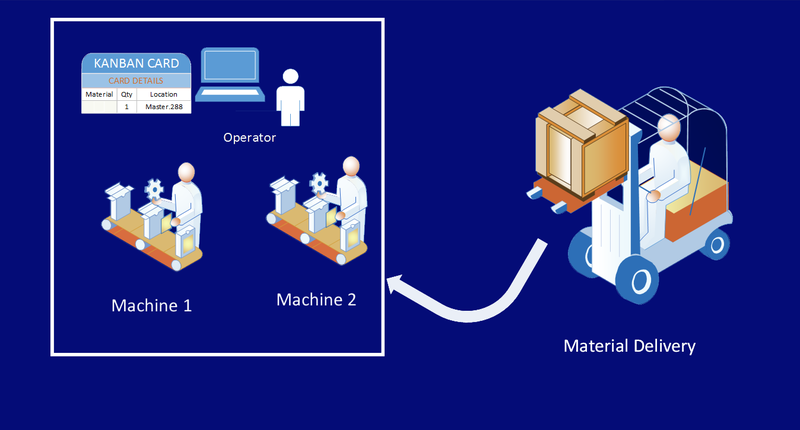 The Kanban system combined with good inventory practices smooths out inventory levels and eliminates carrying costs.The Kanban system focuses on current conditions, production levels are calculated to take into account downtime, scrap, and changeover time of equipment to ensure that the production schedule is met. One of the biggest advantages of the Kanban System is that it improves the responsiveness to changes in demand. In this way, the Kanban system is similar to a smart traffic light with its ability to sense when the traffic, or in this case the demand, is building up. Another advantage of the Kanban system is that it places control in the hands of the operators who are in the best position to oversee production. A final advantage of the Kanban system is found in the fabric of its purpose to promote an environment devoted to quality improvement. Because the Kanban system uses small lot sizes at various points in the production, quality control issues can be more easily pinpointed at the source.